Within the last decades, nutritional support for prostate health is becoming popular. Today, nutrients such as beta-sitosterol and saw palmetto are accepted for prostate health maintenance. Both nutrients are gotten from botanical sources and doctors prescribes it to patients for relieving discomforts linked with hair loss, aging prostate and nutritional aiding healthy prostate functions. That said, there is the issue of which is better in terms of promoting prostate health between beta-sitosterol vs. Saw Palmetto, and that’s what we want to address in this article. Beta sitosterol is a plant sterol ester, which is found in nuts, vegetables, fruits, and seeds. It has a similar chemical structure to cholesterol. This nutrient is a household name because of its functional ingredient contained in most familiar food we consume due to its cholesterol-regulating properties. Nevertheless, the importance of sitosterol goes beyond what we have mentioned. Studies have also shown that it helps in maintaining and supporting strong hair growth as well as a healthy prostate. Beta-sitosterol is advertised as a natural remedy for treating a variety of health conditions such as hair loss, bronchitis, colds, flu, asthma, allergies, chronic fatigue syndrome, scalp psoriasis, migraines, menopausal symptoms, high cholesterol, gallstones, fibromyalgia, and rheumatoid arthritis. Cancer: Studies have discovered that beta-sitosterol isolated from the Ascleiascrassavica plate helps in inhibiting the growth of human colon cancer cells. It also helps in combating against breast cancer. Beta-sitosterol is widely available online. Beta-sitosterol supplements are sold in dietary stores and many natural food stores. An extract of beta-sitosterol contains the needed active beta-sitosterol for the body. Experts recommend a daily dosage of 300mg. Nevertheless, other nutrients and minerals play an essential role in supporting prostate health. These include vitamin D, selenium, copper, molybdenum, zinc, and others. NOTE: We strongly suggest you consult with your doctor for professional advice on this. The recommended dosage when treating benign prostate hyperplasia is 60 to 130 milligrams each day. Furthermore, if you are using it as a cholesterol-lowering medication, the standard dose is 1.5 to 3 grams each day. Beta Sitosterol helps in reducing cholesterol level in the body by limiting the cholesterol amount that gains access to the body. Furthermore, it helps to old the prostate to reduce inflammation (swelling). 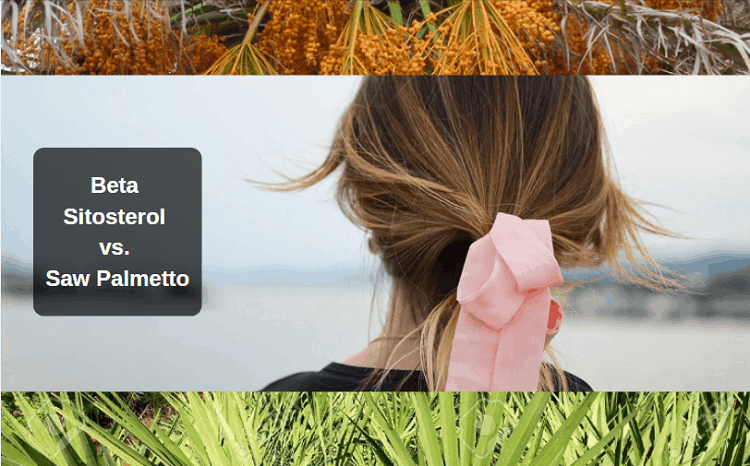 Aside from using saw palmetto, beta-sitosterol is the popular method used in treating hair loss as far as it concerns herbal supplements. Most people having issues with hair loss are on the prowl for a natural solution that will solve their problems. Wearing a toupee, wig or undergoing a hair transplant isn’t an exciting adventure to take. There isn’t much research conducted on the direct relationship of beta-sitosterol with hair loss. However, the first research to link beta-sitosterol and hair loss is that located in the Journal of Alternative and Complementary medicine. The research shows that about 60 percent of people who took beta-sitosterol had improvement in their hair condition. The research took a period of 12 months. However, some subjects during the research noticed improvement after using it for 4 months. There are indications that beta-sitosterol helps in preventing hair loss by blocking the production of androgens like dihydrotestosterone (DHT). It carries out this act by preventing 5-alpha-reductase type II enzyme. On the other hand, the enzyme is charged with the responsibility of converting testosterone to DHT. Results so far indicate that people using beta-sitosterol had success with the supplement after using it for weeks. Interestingly, saw palmetto and beta-sitosterol hadn’t been linked to having adverse side effects that are associated with pharmaceutical alternatives. There are theories that because beta-sitosterol works perfectly in treating hair loss, most big drug companies downplay its effectiveness because they are natural, inexpensive, and don’t have exclusive rights to them. The recommended dose for beta-sitosterol is 100mg, which is taken twice or thrice a day. This means that the person takes a total of 300mg per day. Some experts advise taking beta sitosterol in combination with 200mg of saw palmetto twice per day. With this, you will have an active natural DHT-inhibitor cocktail. Note that not everyone experiencing hair loss can immediately take it. 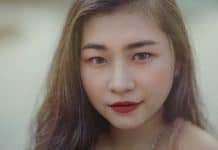 The ideal people for treating hair loss using a natural substance such as beta-sitosterol are those whose hair loss is at the beginning stages. Those in mild to moderate cases may likely experience the most success when using a natural substance in treating hair loss. However, severe cases of hair loss with larger bald spot areas won’t be effective. In such a situation, a hair transplant surgery is the only option to consider. If you are looking to mega dose beta-sitosterol, the truth is that you aren’t going to croak if you overdo it. Nevertheless, you will eventually waste your money because your body can only take that which it can while converting the rest to waste. Therefore, it is advisable to stick to the recommended dosage. The benefit of using beta-sitosterol is that it has the tendency of boosting your immune system, lowering your blood cholesterol levels, and keeping your prostate healthy. Serenoa repens or saw palmetto is a palm tree, which grows within the West Indies. Additionally, it grows within the southeastern coast of the United States. It is highly recommended because of its role in supporting healthy aging of the prostate gland. There are much scientific evidence from various research regarding the efficacy of this nutrient. It contains a mixture of different sterols, with the primary one being beta-sitosterol because of its stellar importance in supporting prostate health. Undeniably, the benefits of saw palmetto are not debatable; however, there is the issue of whether there is sufficient beta-sitosterol in saw palmetto supplements in the market for therapeutic use. The extract is typically used as a prostate support supplement to maintain healthy function. Furthermore, it helps in increasing bladder management for women. 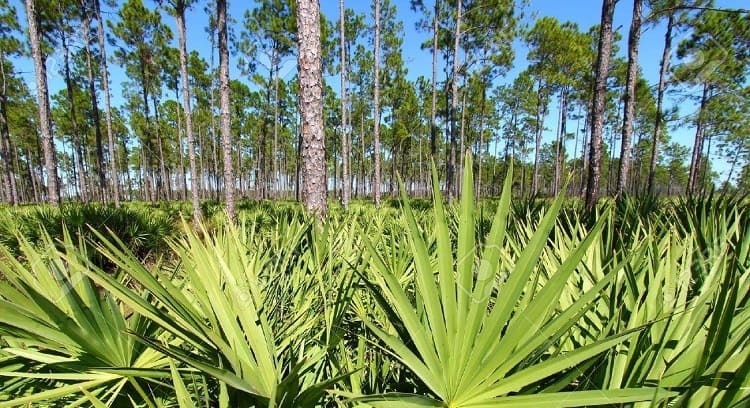 A mixture of Echinacea and saw palmetto tends to improve the bladder capacity and management. Besides this, studies have shown that a combination of selenium, lycopene, and saw palmetto might help improve healthy prostate function. A person may need saw palmetto supplement when they have an unhealthy functioning prostate with urinary problems including frequent urinating or difficulty when urinating. Most times, these symptoms take place during the prostate gland starts pressing on the urethra, which passes through the prostate gland. The standard dosage of saw palmetto is 320 milligrams when treating benign prostatic hyperplasia. The extract for each day contains 85 to 95 percent sterols and fatty acids. However, when it comes to beta-sitosterol, the dosage varies depending on the purpose of use. However, I highly suggest you consult with a dermatologist for professional advice about this. Saw palmetto has the tendency of affecting blood clotting while increasing the risk of bleeding. In peradventure you require any dental work, surgery or medical procedure, it is advisable to stay off it at least 2 weeks before such procedure. How much quantity of Beta Sitosterol is contained in Saw Palmetto? Saw palmetto berries contains a mixture of flavonoids, fatty acids, sitosterols, and polysaccharides. Generally, a saw palmetto product contains within 85 to 95 percent of fatty acids and mixed sterols. The mixed sterols comprise of stigmasterol, campesterol, beta-sitosterol, cholesterol and 1 percent of saw palmetto berries. Which is more effective – Beta Sitosterol or Saw Palmetto? In as much as beta-sitosterol has been identified as the sterol, which offers health benefits to the prostate; however, in the market, saw palmetto supplements contain about 85 percent of fatty acids. Moreover, saw palmetto might not contain enough active ingredients for such benefit. Between beta-sitosterol and saw palmetto, the best option in promoting prostate health is a pure extract of beta-sitosterol. Saw Palmetto is seen as a safe supplement, with rare incidences of diarrhea, headaches, or constipation. Upset stomachs and bad breath are the most common side effects. Furthermore, women using saw palmetto should take extreme caution because of its potential in causing changes in their hormones. Pregnant and breastfeeding mothers should not use saw palmetto. On the other hand, beta-sitosterol is safe especially when taken in margarine as prescribed by a physician. Studies have shown that plant sterols have the capacity of reducing the absorption of alpha-carotene, beta-carotene and vitamin E. it is always important to speak to your doctor before using such products. Various researches have been carried out on beta-sitosterol and saw palmetto. However, studies regarding saw palmetto resulted in conflicting inferences. Some of these researches indicated negative results while others show it to be effective. In comparison with beta-sitosterol, beta-sitosterol is considered more conclusive with steadily significant positive inferences. To forget to seek expert advice from a doctor.